WAVERLEY ABBEY .... The ruin is situated in the Surrey countryside between Farnham and Godalming. It was the first Cistercian monastery in England. During his travels, Sir Walter Scott (1771-1832) visited the ruins and was very impressed by them, so much so that he named his first novel Waverley after the monastery. As Scotland embraced anything to do with Sir Walter, it was inevitable that a ship would carry this name. 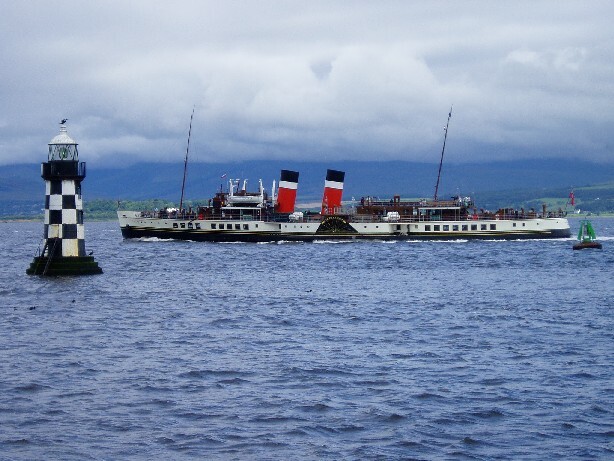 Waverley returning to Tarbert Pier to pick up passengers for return trip to Ayr on 22 August 2000. 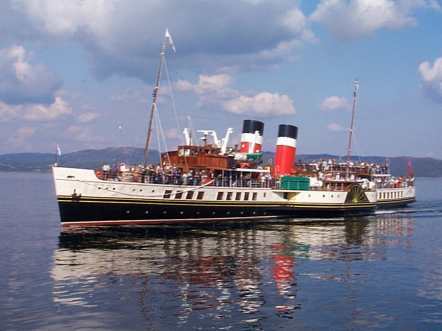 The last sea-going paddle steamer in the world sailing round the coasts of the United Kingdom.... Firth of Clyde, Western Isles, Liverpool and Llandudno, River Thames, Bristol Channel, South Coast....through to October each year. 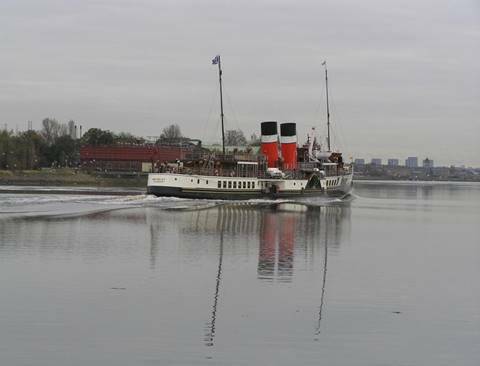 Paddle Steamer Waverley is operated by Waverley Excursions Ltd and supported by the Paddle Steamer Preservation Society. 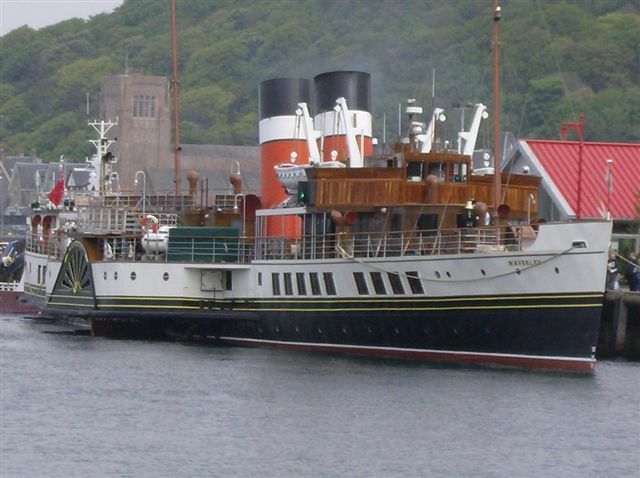 Driven by a 2,100 horse power triple expansion diagonal steam engine, this ship has two bars, dining saloon and accommodates up to 800 passengers. 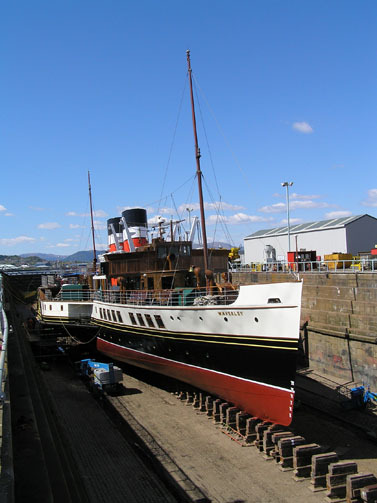 This unofficial Paddle Steamer Waverley web site is maintained by Martin Longhurst martin.longhurst@zoho.eu . 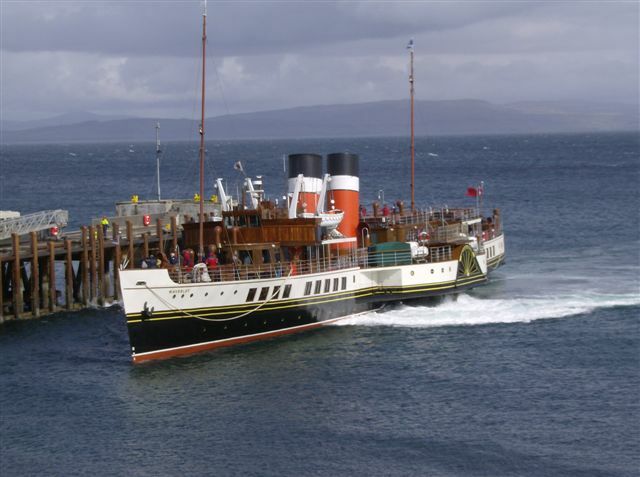 Please note that all enquiries regarding sailings and all other business matters must be addressed to Waverley Excursions Ltd. by post, phone, fax or email. 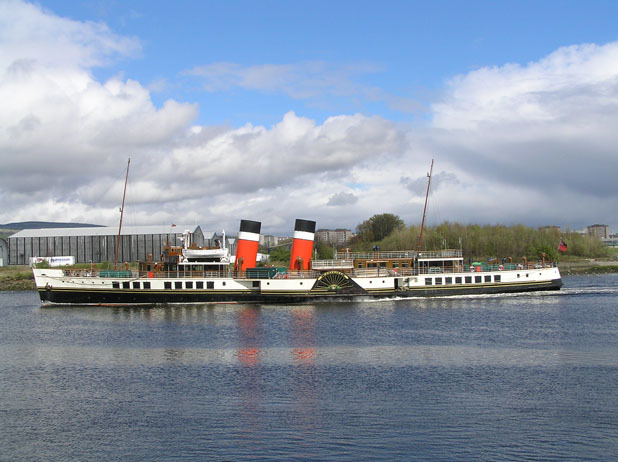 The views expressed on this site are not necessarily those of Waverley Excursions Limited or the Paddle Steamer Preservation Society. 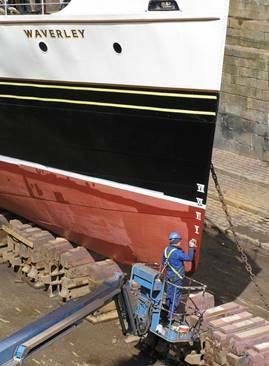 Paddle Steamer Preservation Society The registered charity which supports the continued preservation of P.S. Waverley and P.S. Kingswear Castle - find out how you can help! Membership includes Paddle Wheels colour magazine quarterly. Clyde River Steamer Club for those interested in the steamers of the Clyde & the Western Isles and their history, operations and photographs from their first beginnings to the present day. West Highland Steamer Club, founded in 1967, for those interested in the workings of the Western Isles fleet of David MacBrayne, now known as Caledonian MacBrayne.